Leprechaun Punch is almost a rite of passage in Utah. I can’t remember a single dance or “fancy activity” that didn’t have a bowl. In fact, it is such a nostalgic things for so many Utahns, that I can’t even tell you how many wedding receptions I have seen it at. It is simple, delicious and kind of like a root beer float. 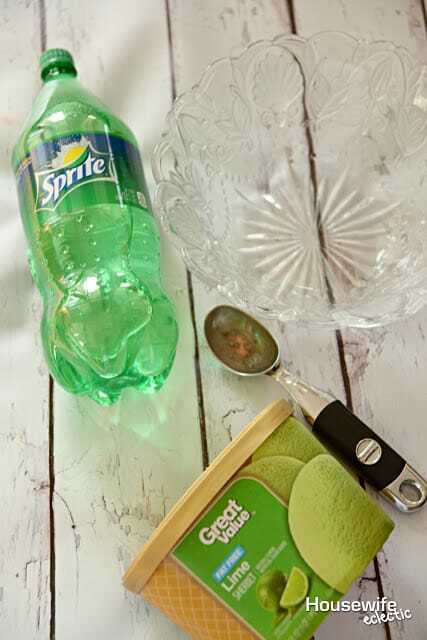 Growing up the flavor of sherbet changed depending on the event, but the drink is always a Lemon Lime Soda. Fill the bowl full of sherbet, usually 6-10 scoops is a good amount. 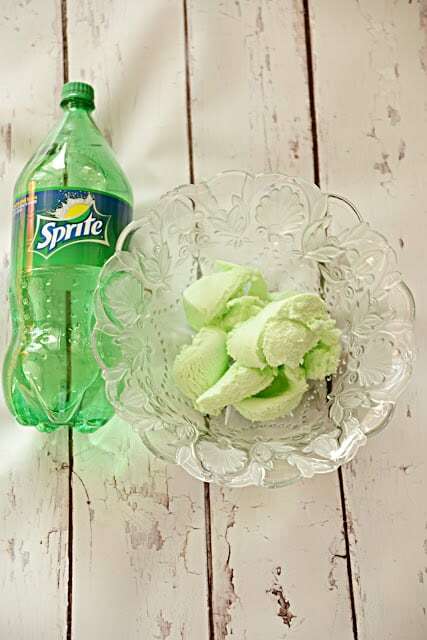 Pour the Sprite or other Lemon Lime Soda over the sherbet and let it sit for a couple of minutes. This mixes the flavors. Serve up glasses full of Sprite with a little bit of sherbet in the top. It is such a simple drink, but a fun one. What kid doesn’t love a soda and ice cream sugar rush? 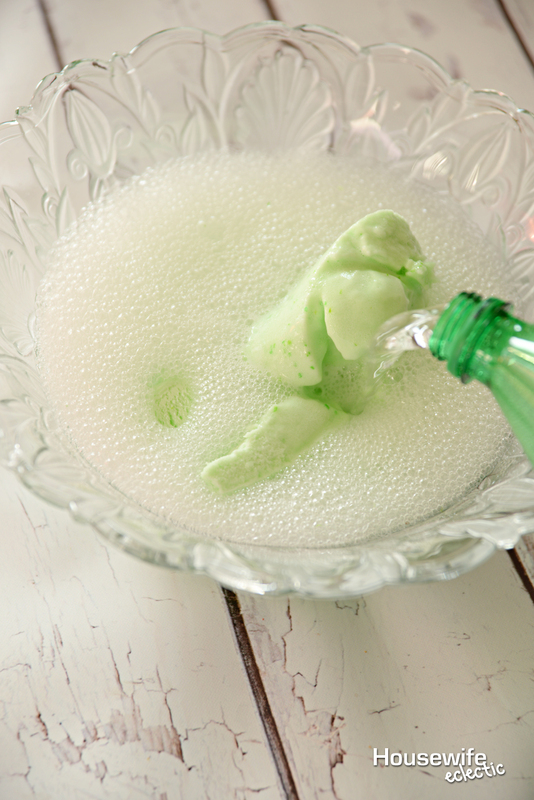 This punch is a really cute idea for St. Patrick's Day. I love how easy it is to make and how inexpensive the ingredients are. I think the kids would get a kick out of drinking this with the whole leprechaun story behind it. We are now brainstorming food ideas for the St. Patrick's Day party we are hosting this week. There are so many Irish or green things we like! If time wasn't an issue, I would make them all! Sprite is actually my favorite soda. I have used it many times to create fun mocktails. I love this Leprechaun Punch! 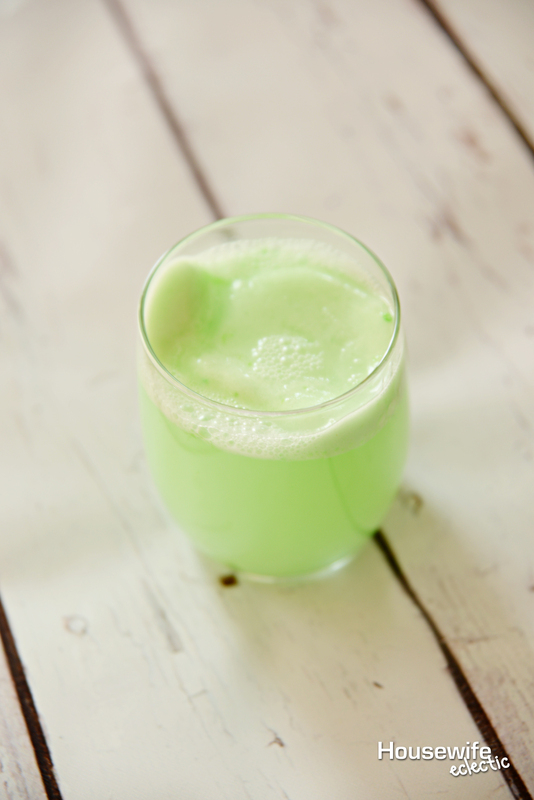 It's fabulous and perfect to celebrate St. Paddy's day with! Definitely will serve this up…my whole family will love it! What a great sweet idea for a drink! My kids would go crazy over it I'm sure. Although they don't like Root Beer floats or Ice Cream Sodas…..For me then! 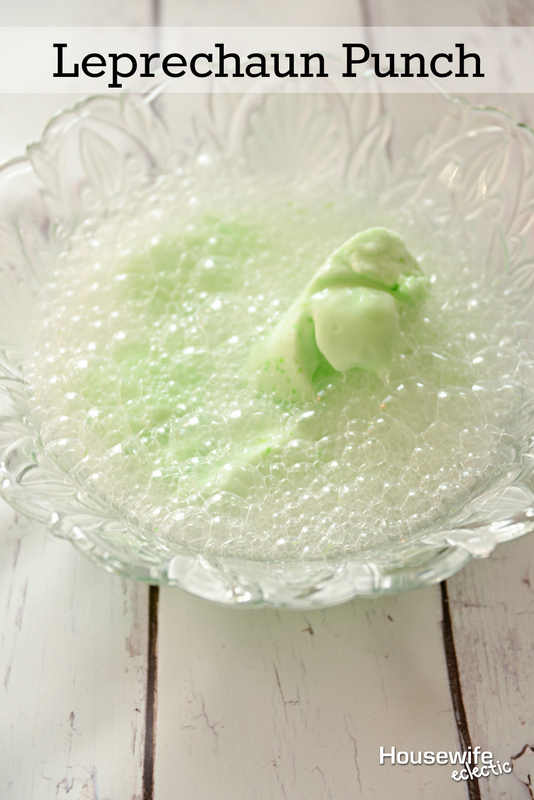 I always loved punches with ice cream in them. Even seeing them. I think of my mom. Thanks for sharing. Saint Patty's Day is right around the corner I'm going to spread the word in NYC. I've always loved the color of this punch. A perfect idea for celebrating St Patrick's Day. This is so cute, and definitely simple to make. Would be great for a St. Pattys day party for sure!